I live on the Appalachian Trail and hike often. OK, so I used to hike often. I hiked regularly until Mother's Day and haven't hiked since. Until today. For the first time ever, my husband came with me. I got a great picture of him at the top of the mountain with the gorgeous view behind him. Wanna see it? Well, you can't. Don't feel bad, though, because I can't either. My camera didn't come home with me. I'm beyond bummed. If you happen to hike the AT and see my green Samsung camera, let me know, ok? I'm going to engage in some quilt therapy and maybe finish Old Tobacco Road part 3. And then I'm going to go through camera withdrawal. Is there a 12-step program for that? And yes, I did put them all together backwards. Thanks for noticing. I'm going to reverse everything in step three, hoping it all comes together ok. If not, it's a graduation quilt for someone and they'll love it regardless. No scrap baskets were emptied in the making of these blocks. Not empty at all. So much so that I'm thinking of finally starting Orange Crush, just to use up some of these scraps. I decided to take the Old Tobacco Road plunge. I don't get much time for personal sewing, so here's hoping I'll get to finish this one. For my four-patches, I raided my 2-inch square bucket. I used mostly browns. I made 190 or so, and will cut the triangle blocks from these later. Wow, I forgot my scrap buckets actually had bottoms to them. One down, eleven to go! I have a very weird system for picking books to read. Sometimes it's everything by an author. Sometimes it's what I've seen others read in airports. And sometimes I pick audiobooks based on who the reader is. Scott Brick is one of my favorites. I requested a whole bunch of books that he's read and found some very enjoyable ones. "City of the Sun" by David Levien is one of those. I started listening with absolutely no pre-conceived ideas and this book blew me away. Gritty might be a good description. Moving would be another. Tragic. Compelling. I finished listening to this book in my garage after listening to the last CD while driving and arriving home before it was over. I couldn't stand the thought of turning it off long enough to walk upstairs and put it in the CD player in my office. So, not for the faint of heart (sensitive subject matter), but absolutely compelling. Read it! Things just got a bit crazy. Sorry. I'll post now, though, if that's ok.
My daughter and I went to the University of Maryland this weekend. I really, really liked the school, but it's not completely about me, I guess. We had to be there at 10am Friday. In case you are new, we live in New York. I love waking at 4am in order to cross the George Washington Bridge before rush hour. Yay! I also love construction traffic, weekend traffic, and all other forms of traffic. We hit them all. To pass the time, we listened to "Rita Hayworth and Shawshank Redemption" by Stephen King. I was shocked to discover that I have never read it before. I've read most of his works (except The Dark Tower series. I don't like them). I rarely read books after I've seen the movie; it's such a set-up for disappointment. I took the risk since my daughter and I both love the movie. The book was read by someone who wasn't Morgan Freeman but who sounded shockingly like Morgan Freeman anyway. We pointed out places where the screenplay differed from the book, but thankfully they were few. All movies that are based on books should at least resemble the books they were based on, don't you think? It's tragic how many don't. Stephen King outdid himself in this novella. The last line is now one of my favorites: "I hope." I've often mentioned that I hang my laundry outside to dry. It's something that is good for the environment and our budget. It's a bright part of my day. I love going outside in the morning and listening to the birds and critters making their normal racket. It makes me wonder why people think that it's quiet in the country. I'm soothed by the process of hanging laundry and I love folding the fresh-smelling clothes at the end of the day. This lovely lady made herself comfortable and watched me intently for the entire process. I've had some interesting experiences on the road recently. Unfortunately, a lot of them involved tow trucks. My husband and I have had several 'date night' trips to drop my car at the shop. I enjoyed spending that time with my husband, but I would have preferred candle-lit dinners. With what we paid the mechanic, they would have been some ah-ma-zing dinners. and others like Pontiac, Nissan, and Dodge. Ugly car comments? Bring them on! It was a good day. And one totally filled with incredibly cute toddlers and dogs. Was there a convention or something? Because they were completely adorable, all of them. This was machine appliqued and hand quilted. My daughter loved this as a little girl, but it is so far from her current color preferences, you'd laugh if you knew her. My son absolutely trashed this quilt. I'm not upset because he literally loved it to death. I made it when he was in elementary school. The blue and orange fabrics were in recognition of the fact that he would one day play for the New York Knicks. He's changed career goals since then. Does anyone else have a quilting stencil shaped like a basketball? No? I'm shocked. This quilt has been to Mexico, Russia, and many other places. He never traveled without it. He took it to college with him, and it died by Thanksgiving of his freshman year. He asked me to sew a new "edge-thingie" on it, but there was nothing left to attach a new binding to! I raced home from visiting him that Thanksgiving to make him a new quilt by Christmas. 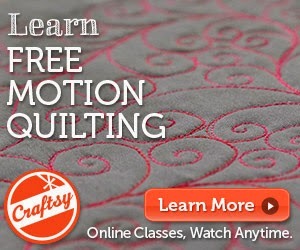 I used the same pattern and wondered why I made such a small boy such a large quilt all those years ago!?!? His new quilt was scarlet and gray (go Bucks!) and had music fabric in it. I'll try and get a photo from him some time. This first quilt has been retired, but will never be discarded.